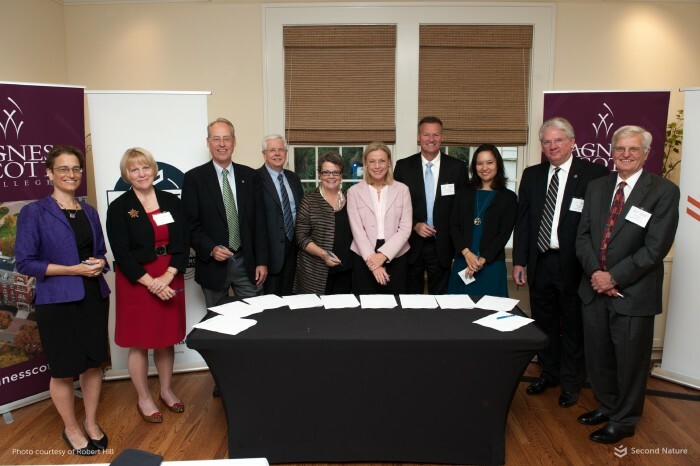 Ten College and University Presidents and Chancellors joined Second Nature at Agnes Scott College for a two-day meeting to discuss Climate Leadership, and sign the newly-announced Climate Commitment. Together they explored new opportunities for action in our changing climate landscape, and pledged their commitment to continued work in the areas of carbon mitigation and resilience. The ten attendees comprise a segment out of a larger group of leaders from across the country that pledged to sign this commitment, forming the Charter Signatories for the Climate Commitment. View and download pictures from the event.